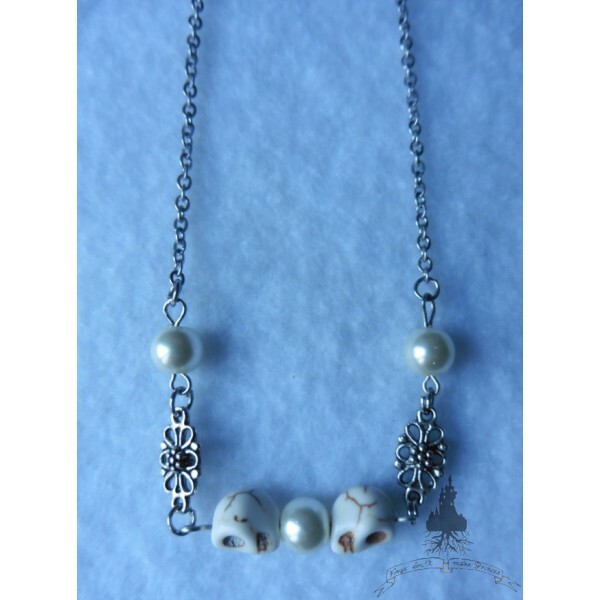 Chic and Rock short necklace ! 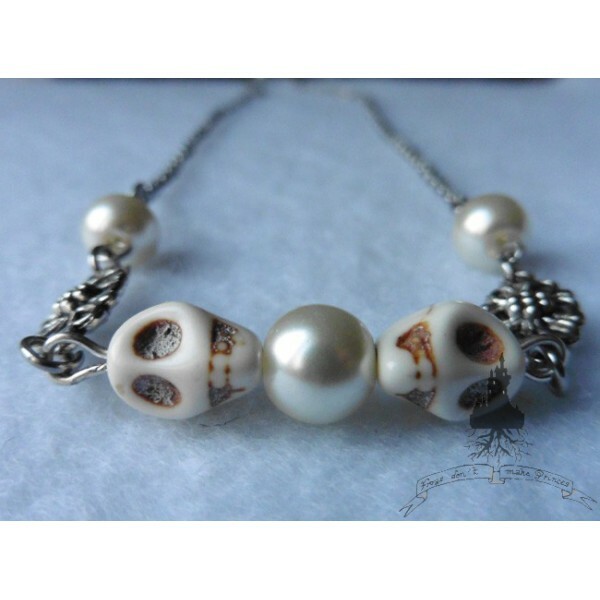 Short necklace with stainless steel chain, punctuated with beads in off-white mother-of-pearl glass. 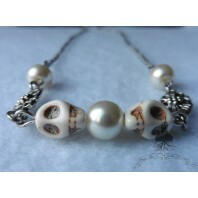 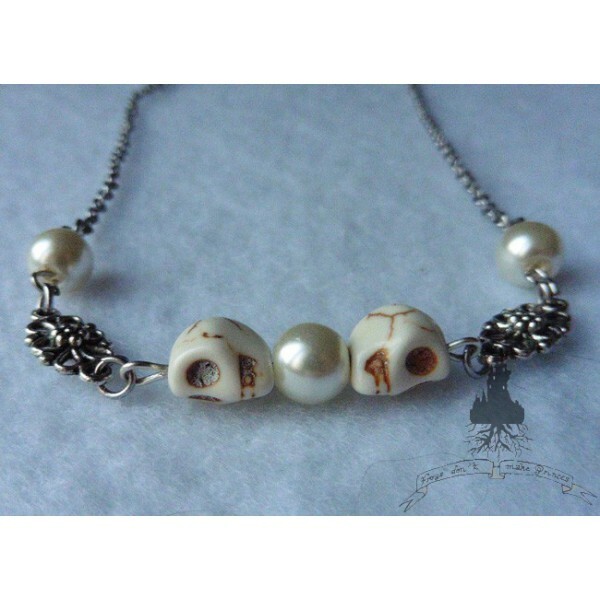 In the center, two white ecru / beige skulls in Howlite revolve around pearly white central pearl.